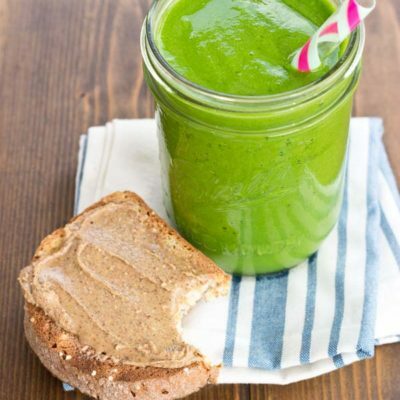 Slurp on a Ginger and Greens Smoothie made with fresh ginger, frozen fruit and 2 cups of greens!! It’s super refreshing and cleansing! This post is sponsored by the National Frozen & Refrigerated Foods Association (NFRA), all opinions are my own. Happy March! How is it already March? As much as I enjoy the Christmas season, Easter is up there as one of my favorites. 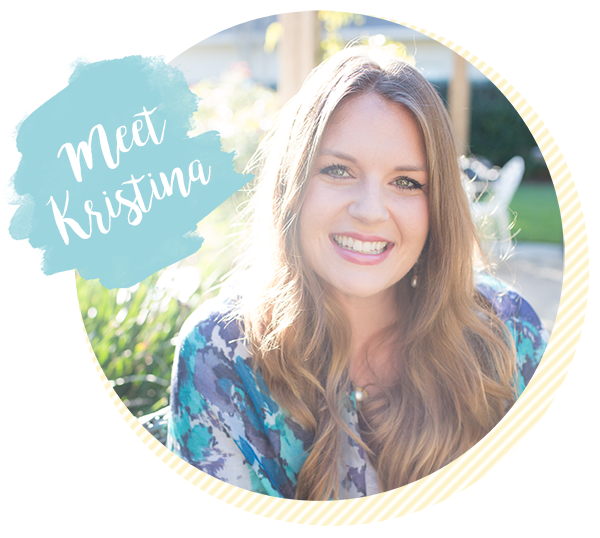 Maybe it’s because I’m obsessed with birds and nests and bunnies and spring colors and decor, but to me it also symbolizes a fresh start and spring cleaning. This time of year just makes me cheerful. 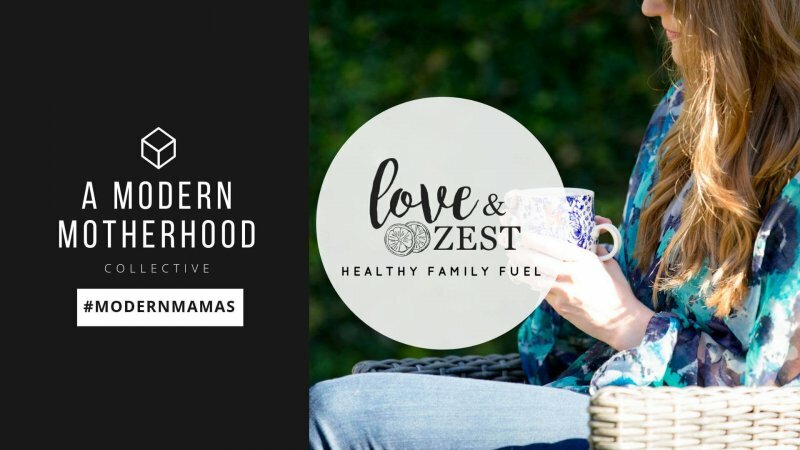 March is also National Frozen Foods Month, so I’m excited to highlight some of my favorite ways to incorporate foods that are simply frozen for convenience, however rest assured these foods are REAL and made with high quality ingredients. Freezing is the best method for preserving food and locking in nutrients because it’s picked and harvested at the peak of ripeness, and flash frozen! So when it comes to spring cleaning, it’s also time to spring clean the diet by finding ways to incorporate more fruits and vegetables to eat well and balanced. 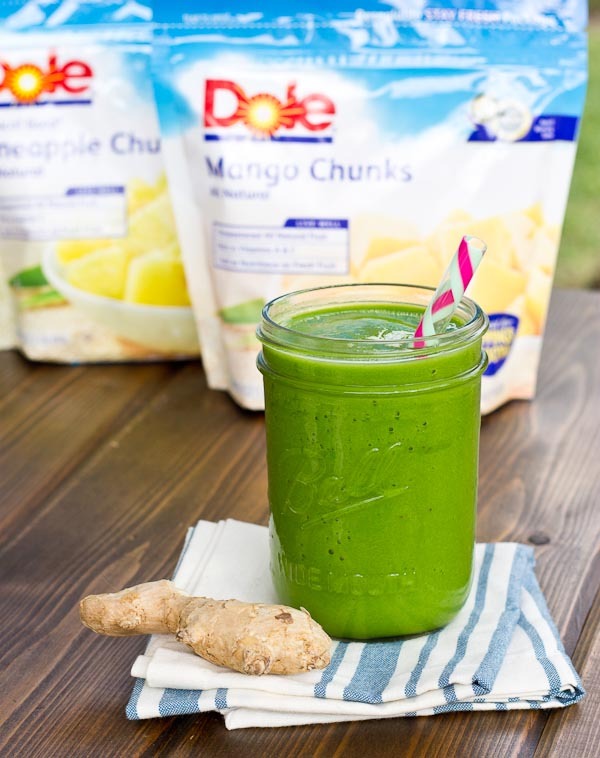 I like to start my day off with a spring green smoothie like this Ginger & Greens Smoothie, it’s incredibly refreshing and cleansing and made with two cups of greens and Dole frozen fruit. YUM!! 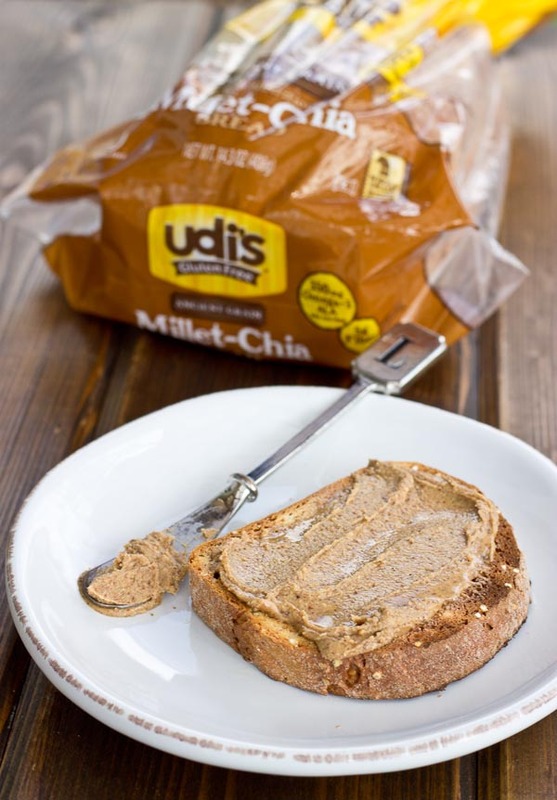 One of my breakfast go-to’s whether I’m eating an omelet or a smoothie is Udi’s Gluten Free bread, and I’m obsessed with their new Millet-Chia bread because it has a nutty crutch and it’s higher fiber and protein. I just keep them in the freezer, and pop a slice in the toaster in the morning and spread the warm toast with a smear of almond butter. Convenient and healthy! Double win! Convenient and easy-to-make recipes are top priorities for me– and that’s why I shop the freezer aisle for Real Food. Frozen. 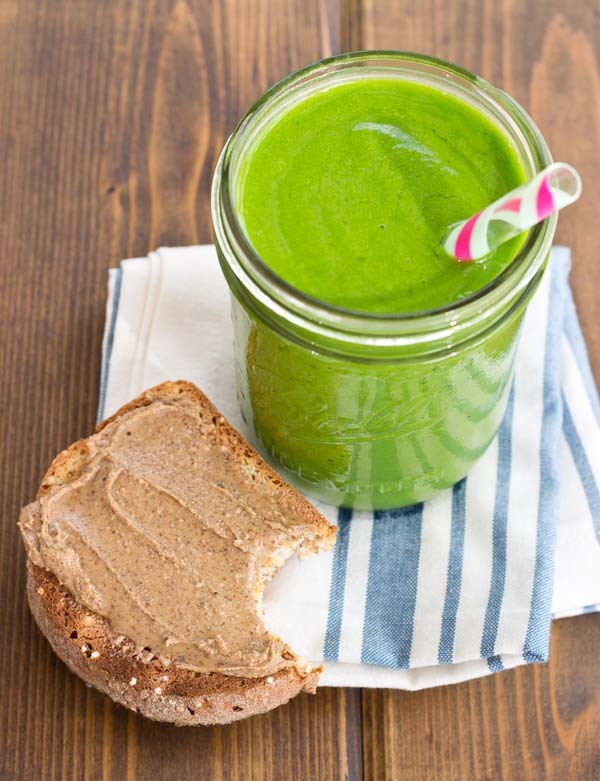 This Ginger & Greens smoothie paired with Almond Butter Toast makes a great grab and go breakfast too. 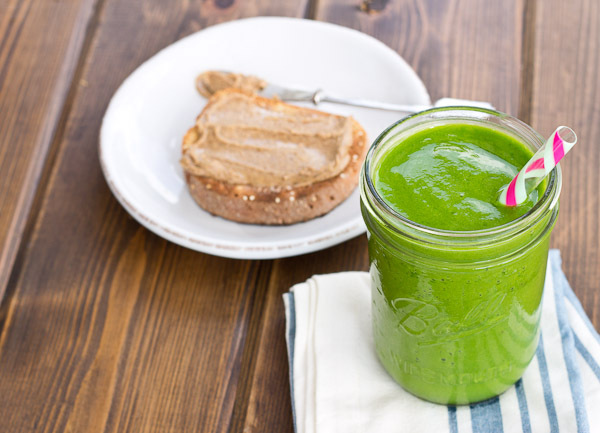 Stick a straw in your smoothie, and be out the door with breakfast in hand. Perfect for a busy morning. Questions: Do you have spring fever too? What are your favorite frozen foods? Place all ingredients in a blender and process on low speed for about 30 seconds and increase to high speed to process until blended and smooth. Maybe add some chia seeds or flaxseeds as well? would be great for my throat as im getting over a cold. and great for st. patty’s day too! YES!! festive and therapeutic. 🙂 Feel better soon! I can’t wait to get started using MyFitnessPal for weight loss! I have been SEARCHING for years that has all this one has AND FOR FREE ! ! ! Looks so refreshing! I love Udi’s breads and need to try this millet and chia one- sounds interesting. I love ginger in everything, especially in smoothies! Best this tastes great after a workout. Ok to use frozen banana and swap water for coconut water? Can I use something else in place of the banana? I am allergic to them. To most things anyway, but this recipe is doable if I can swap out the banana for something else. Help…. I’m totally blown away by the color of this smoothie- so pretty! By the way, Udi’s is the bomb! Thanks Sonali!! I love bright green colors!! What a great NUTRITION packed smoothie! i know right– that’s a lot of greens! I LOVE ginger. Cannot wait to try this deliciousness. I bet we have all of these things in our freezer already, hah. 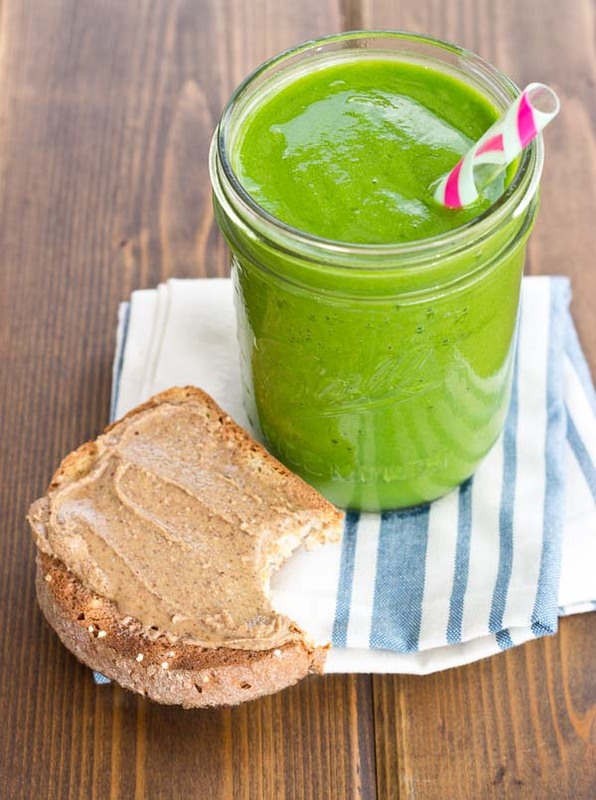 Depending on what else is in the smoothie, I’ll even used frozen chopped spinach or kale to help make it a frozen drink! Haha! Ginger is new to me but I’m learning to explore a bit more with it.